This Bah-humbuggy chick has actually been cooking up some Christmas crafts. Not my Christmas cards, of course, but creating none the less. Had to use up my Basic Grey Blitzen papers from last year so that next year I can buy some new holiday paper! So I made this little tree ornament with my prehistoric Sizzix machine and this little tree die that my buddy Carol gave me a while back. This is honestly the only thing I've done with it since I got it, but I am super happy with the results. 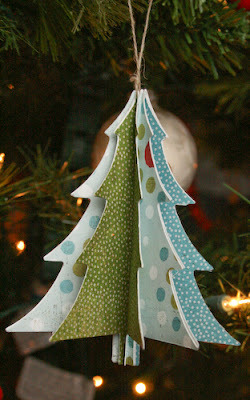 I cut out 8 trees in all different papers of that same line, although I am sure you could easily match up some scraps and make this as well, just make sure you are using thicker, cardstock-like patterned papers, not that flimsy stuff. Then, the real trick was getting it all together, perfectly aligned and with adhesive that would actually hold it in place, forever. I bet the Gorilla Glue would work perfectly but I didn't have any of that, so I used Aleene's Quick Dry Tacky Adhesive. It's my secret crafty weapon, so don't pass it around too much, otherwise there won't be any left for me. The real secret of this glue is to apply it as thinly as possible while still covering well, then let it sit about a minute before you actually attach the two papers together. I used the thread from SU! as a hanger for the little ornament because it is lightweight but super strong. Plus, I think it matches the look of the Basic Grey. This is just two different views of the same ornament, I didn't make two. I was totally inspired by this little tree. The way she created hers seemed way too difficult for little 'ol me, so this Sizzix creation was perfect. Look at your dies if you gotta 'em or visit your local Archiver's, they've got some you can use for free! and make up your own cute little 3D creations. Back on Monday with a full tutorial for making your own little List book with a twist. And if anyone knows how to add a PDF or Word file to a blog so that everyone can grab it to use and love, let me know. I need to do that so that everyone can make a book of their own! This is oh so cute! I love it. i love how many people are making little holiday ornaments this year!! 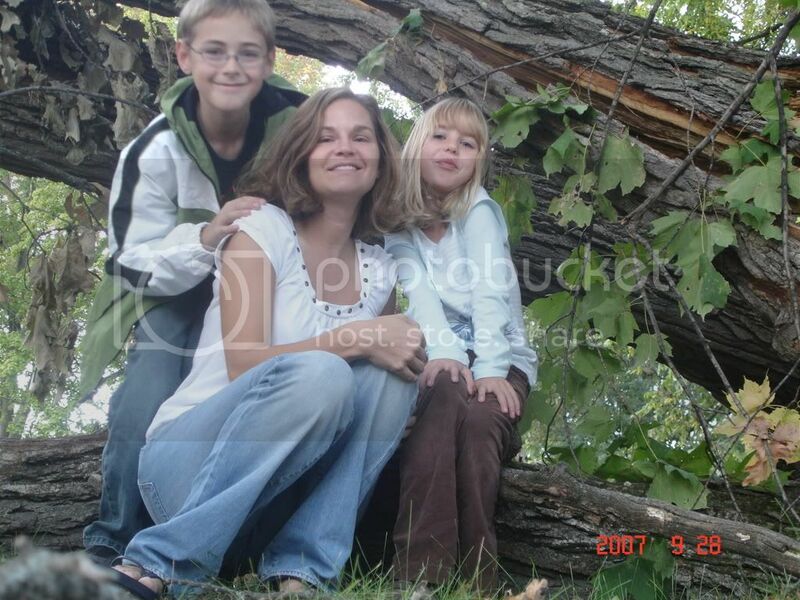 Thanks so much for sharing your cute tree, its soooo super duper! We missed you! I can't wait for your tutorial so I can make one for my daughter & one for myself. oh my gosh, so stinkin' cute! Wow, you really are cranking out the holiday stuff!! Don't know if you can call yourself Scrooge much longer at this rate LOL!! well that is just adorable...gonna have to give that a try! I LOVE this!....I pulled out my Sizzix tree die, and found it was not symmetrical...argh!...still gonna try AT LEAST one....will have to hand cut it!..thanks for the inspiration...looking forward to Monday's TUTE! this is so cute, Simone. I should do this, I have the die and a big, heavy Sizzix. Thanks for sharing this cutie. I love this tree ornament! I don't have a Sizzix...but I wonder if my friend who does might have this tree...hmmm! those are so cute and festive! i found your blog through greta, i hope it is okay i stopped by! 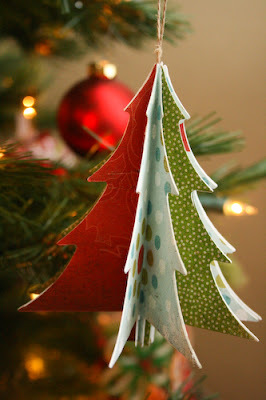 Cute tree ornament...I'll have to try this with some of my dies. I LOVE your tree ornament! Your tree ornaments are adorable..I love them!